The number of Muslims in 2010? 1.6 billion out of the nearly 7 billion people of the world! If that wasn’t enough, Islam is poised to have the largest number of followers by 2075. These factoids, along with the billions that Muslims are increasingly spending their disposable income on everything from halal food items to Islamic banking products, have made big businesses take notice. Even the biggest fashion designers and brands from the West are looking to cater to the next big commercial opportunity. 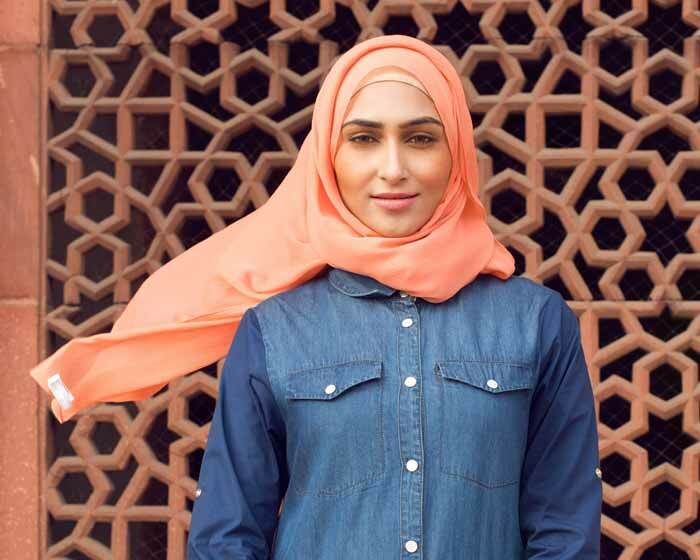 As major brands such as Nike and Dolce & Gabanna increasingly try (and even fail) in getting modest clothing apparels just right for Muslim customers, others are hoping to take advantage of this multi-billion opportunity. Today’s upwardly and socially mobile Muslim consumer (especially women) want top-tier fashion products that feature their religious sensibilities with the proper care and attention, all this without compromising on quality. Preferably, these Muslim consumers are increasingly opting for more homegrown and traditionally owned-and-operated-by-Muslims brands. Islamic Design House is one such brand that has become popular and successful in 7 Muslim-majority countries where it operates in. It has been founded by two entrepreneurs Shahid Rana & Binish Bhagwanee. The company, which has been operating for 9 years, brings its traditional knowledge of Islamic culture and customs, weaving them painstakingly into its catalog of modest clothing line of products that feature everything for everyone. Why Modest Fashion and Certainly Islamic Modest Fashion at That? In recent years, the modest fashion industry has seen its popularity skyrocket to exponential levels. Modest fashion wear has become a household name not just with Muslim-majority societies and households, but with various other traditional and conservative consumers from all around the world as well. Little wonder then that the modest fashion industry is now worth billions in dollars, according to Forbes! And seeing how many modern-day Muslims are increasingly becoming cognizant of owning up their rich culture and beliefs, their fashion choices have also become quite pronounced as well. Comfortable to wear and carry themselves around. Perfect according to prevailing weather conditions. Easy to carry and perfectly fitted. Perfect for religious activities and rituals. Restrained color schemes as per Islamic concepts. Burkini: It is a modest swimwear. It’s perfect for places with extremely hot climates and have the added advantage of letting you go for a cool swim without fear of being revealing. The suit covers the whole body except face the hands and feet and is light enough to swim comfortably. You may find a variety of color to choose from, indigo-blue, slate-chime and many more from brands like Islamic Design House. Abayas: From Dubai to Karachi, you can dress yourself in International standard abayas that come in a fabulous choice of colors. Jilbab: A long and loose-fit coat, Jilbab is a trendy alternative to the more traditional hijab. 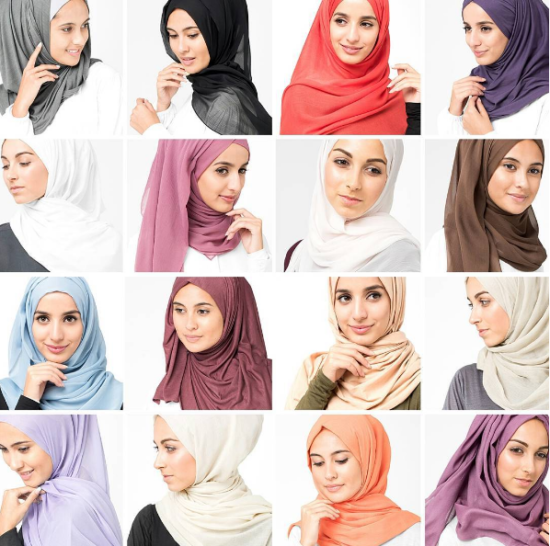 Hijab: If you are looking for a full-length, sleeveless outer garment from a variety of colors, you can’t go wrong with a Hijab. Besides fashionable Modest Outfits, Islamic Design House has brought the Visual Dhikr Prayer mats exclusively designed by the British artist and designer Ruh Al Alum. Brands like Islamic Design House are uniquely poised to take advantage of the intersection of e-commerce, social media and other non-traditional channels to make modest fashion apparels a huge industry in itself in the years ahead. It’s a foregone conclusion that Islamic modest clothing from top-tier brands will become as ubiquitous and mainstream as other staple wardrobe items like pants and t-shirts. Are you looking forward to buying your own? Sound off in the comments below.